Documentary about free solo climber Alex Honnold and his ambition to ascend El Capitan in Yosemite national park. Insightful and exhilarating, showing how Honnold’s personal life and background have affected his climbing, and how the filmmakers themselves had to take special efforts not to distract him into making a disastrous error. Miles Morales (Moore) is an average kid living in a New York where Spider-Man exists, but he then gets bitten himself by a radioactive spider and starts developing familiar abilities. Hugely imaginative animated adventure which dispenses with the familiar origin story and looks like a comic come to life. Hilarious, original and exhilarating. Kino Teatr operates as a cinema and music venue and includes the Baker-Mamonova gallery. An eatery, the kitchen operates in the space. 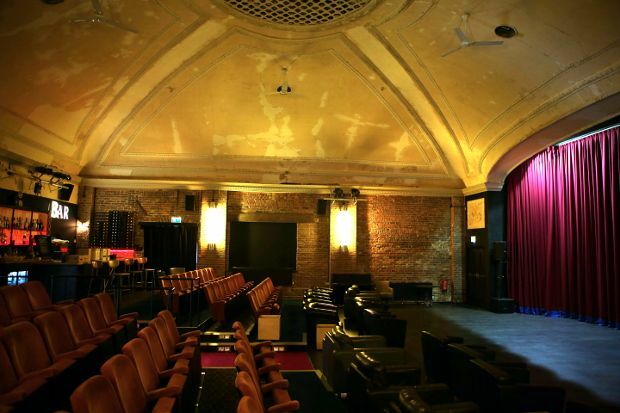 It is housed in a restored 1913 cinema in St Leonards, close to Hastings.